Since there is a growing dependence on satellites for maintaining daily life and to conduct a modern war, the opponents are creating a powerful tool to counter by employing hacking technologies which can reduce everything to a standstill within seconds. It is becoming increasingly evident that any future war between modern militaries would be both a space war and a cyber war. In fact, they would be one and the same although Russia, China, and the US have all stated they do not want a space war, but are all preparing for one if one occurs. Satellites, space vehicles and ground stations are potentially vulnerable to a wide range of cyber attacks, including data theft and data corruption, as well as more sector-specific attacks like cyber-jamming, cyber-spoofing and cyber-hijacking. Space-related cyber security gaps and weaknesses therefore need to be addressed as a matter of urgency. Adam Meyers, vice president of intelligence at CrowdStrike, a California-based cybersecurity firm, confirmed a recent increase in activity against satellite-based systems, particularly of Israeli television stations in the Middle East. Meyers said cheaper, more accessible technology has also created a “lower barrier to entry” for hackers looking to do some damage. To fix the vulnerability, the report suggests that an international community of the willing composed of governments and other critical stakeholders within the space and insurance industries. The fact that countries such as China are prepared to try completely new approaches such as quantum entanglement, and the European Galileo space navigational network has introduced new security measures, show the capacity and determination of the space industry to counter the cyber security challenges all the countries face. Since the cold war ended, however, it has been a largely uncontested territory. In January 1967, the US, UK and USSR became the first signatories to the Outer Space Treaty. In it, they committed to keeping the moon free of military testing and not putting weapons of mass destruction into orbit. China joined the pact in 1984. Another 100 states are now signed up. As a result, for three decades, space powers have been able to operate their own satellites with impunity. According to the Union of Concerned Scientists, there are at least 1,300 satellites now orbiting the Earth. Some have military purposes. Some are for civilian and commercial use. Most-549-are American. European powers are big players too. Russia has 131, the UK 40. But growing numbers are from rising countries. China now has 142 in orbit, India 33. With all this activity, 60 years after the space race began, an orbital arms race is again in development. Satellites are fragile things: a nudge to their orbit, a tilt of their solar panels towards the sun, a laser blast directed at their sensors or a projectile casually fired into their path are all capable of wreaking permanent, irreversible damage. Everything that gives modern western forces their technological and tactical edge over rivals stems from space-based systems. These include precision weaponry, drone surveillance and sophisticated real-time battlefield communications. Even our tanks, one British military officer says, depend on our satellites. The Reaper drones that destroyed Al Qaeda’s leadership would have been useless without satellites, the intelligence on Russian troop movements around Ukraine came from them; and the smart bombs that reduced Saddam Hussein’s military to rubble in 48 hours would not have hit their targets if they had not been there. Even Donald Trump’s phone calls rely on a specific array of them-the Advanced Extremely High Frequency constellation. The original satellite killer program was the brainchild of Vladimir Chelomey, the Soviet Union’s chief designer of aviation equipment. In 1960, the Soviets shot down an American spy plane, prompting Washington to reconsider its intelligence-gathering strategy. As the US turned to space, Moscow needed a means to stop it conducting its surveillance unimpeded. By 1967, Russia’s program was on a firm footing. A special directorate was formed within the general staff with responsibility for “space defence”. Russia performed its first fully functional anti-satellite weapon or ASAT test that year, launching a manoeuvrable payload into orbit where they used it to trial an attack. The principle was simple enough: a nimble, light kill-vehicle, capable of firing a heavy, non-explosive projectile at a designated object in space, and destroying it. Over the next decade, 15 more ASAT payloads would be launched by the USSR. By the 1970s, the Russians were ramping up their testing further. They even sent special armoured satellites, loaded with sensors to measure shrapnel damage, into space to act as targets for their anti-satellite weapons. For its part, the US spent the 1950s, 1960s and 1970s primarily focusing on ballistic missile technology. Systems were developed that were primarily designed to hit other rockets-but some had the capability to reach into space as well. In 1959, a Bold Orion missile was launched from a B-47 Stratojet but only made it within four miles of its satellite target. For the next decade, the US experimented with using nuclear weapons to wipe out enemy satellite arrays but the program never captured the imagination of the Pentagon’s military strategists. It was not until the 1980s, when CIA intelligence unveiled the extent of Russia’s ASAT operations, that the US took the threat seriously. A program rapidly developed a new generation of air-launched rockets that could strike targets in outer space. In 1985, the ASM-135 rocket was launched successfully for the first time from an F-15 jet to blow up Solwind P78-1. Three years later, the entire US ASAT program was mothballed. As both Washington and Moscow became keen to curb the excesses of their prohibitive arms race, Russia’s ASAT program had also begun to wither. Major General Anatoly Zavalishin, the head of Baikonur cosmodrome, recalled the death-knell for the ASAT program in his 1999 memoir. He told Mikhail Gorbachev he could conduct all his tests in secret, without the Americans discovering their activities. The Soviet premier, the general recalled, gave a polite and “resolute” refusal. It would not be until 20 years later that satellite killing came back on the agenda-put there by a whole new power. 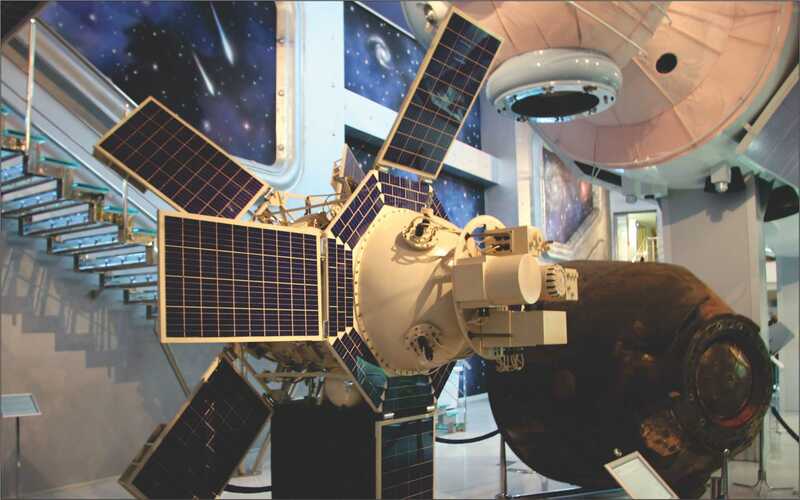 On January 11 2007, 865km above the Chinese mainland, a weather satellite was blown to smithereens by an object blasted into space from Base-27, the Xichang spaceport. Debris was sent hurtling around the atmosphere. More than 2,300 pieces of golf ball size or larger-each lethal to anything it hit-were released into orbit, according to Nasa. Some scientists have even posited the possibility of a lethal shrapnel chain reaction as a result of future ASAT detonations. The detritus from one explosion could spread out to hit other satellites, which in turn would fragment, and so on. Eventually much-if not all-of the world’s critical satellite constellations would be inadvertently wiped out. China has gone on to push further and further with its efforts. In 2008, a highly manoeuvrable nano-satellite, the BX-1-a 40cm cube-was positioned dangerously close to the International Space Station. Officially the BX-1 is for inspection and observation. But it also has potential as a weapon. Had it been directed to do so, it could have destroyed the space station and killed the astronauts on board. Then in 2013, China launched the Dong Neng-another ASAT interceptor. It currently has three ASAT-capable vehicles positioned in space. Firing rockets into the outer atmosphere is not the only way to destroy things in space. ASAT until recently has been entirely kinetic, but now a cyber component to the approach has been added. If you can hack into a satellite’s control systems there are plenty of things you can do-turn the solar panels so they fry up in the sun. Or one can move the satellite into a destructive orbit, turn it into a weapon to smash other satellites with. Or perhaps most insidious of all, you could just insert changes into the data it was transmitting back to Earth, so the operators would act on it and perhaps you could cause even more damage back on Earth that way. Launching a cyber attack on satellites has three key benefits. Most obviously, attacks do not have to result in an uncontrollable debris cloud in outer space. But perhaps more significantly, cyber is also far cheaper for would-be assailants and, if done well, it can be almost anonymous. This opens up a worrisome prospect for strategic planners-attacks that disrupt or spy on their countries’ infrastructure without the ability to respond and therefore without the prospect of deterrence. Satellites have been engaged for years for political purpose to deny or disrupt adversaries’ space-based sensors from collecting certain information and routing that and other data to their users. Satellites are little more than computers placed in orbit with very long and very vulnerable wifi-like data links to ground stations and users. Instead of blowing-up satellites and creating unwanted space debris with rockets and interceptors, one can see proliferation of ground-based jammers, lasers, data insertion and data corruption devices and techniques, as well as other directed energy weapons that are exceedingly cheap and able to be executed covertly. In fact, satellites experience interference on a regular basis, but one can often find it difficult to attribute the interference to the precise actor. In part this is because nations routinely probe the capabilities of potential adversaries-think of Soviet and now Russian bombers testing air defences but the entry cost for jamming a satellite is so low and the intelligence for doing so is available on the Internet, that one can witness non-government organizations and even individuals interfering with satellite operations. However, the US and other nations who experience disruptions from interference with space systems seldom speak out about it even when confirmed and attributed because the tendency is to deny attackers intelligence about the effect of their attacks. An exception to this came a few years ago when the director of the National Reconnaissance Office complained publicly about Chinese lasers engaging US imagery satellites. At a 2011 conference in Luxembourg hosted by the Eisenhower Center for Space and Defense Studies, a representative from the United Nations International Telegraphic Union reported that his organization receives over 200 satellite frequency interference complaints daily. In their estimation perhaps only 7 percent of such complaints are the result of intentional jamming or other interference. That means there are over 14 cases of space warfare or criminal interference occurring daily-that get reported. Consider the following examples that have been reported in the news within the last decade. The Chinese dissident group Falun Gong actually overpowered a state-owned satellite and broadcast their messages over the top of the authorized signal. The former Libyan government jammed British satellite broadcasting of offensive programming into their country. Iran has become a powerhouse in this area, not only jamming satellite broadcasts of Western news into their region regularly, but they have also engaged American and other satellites to jam satellite data links used to command remotely piloted vehicles in the Middle East. The Iranians even went so far as to send a small team of people to Cuba secretly to jam American satellite data links. It took a concerted effort between the US and Cuba to figure out the situation and for Cuba to eject the perpetrators diplomatically. This is the face of space warfare. Not the grandiose visions of blowing things up in space. Space warfare is not executed for its own purpose. It is done because a contest of wills exists on Earth between two or more polities or non-state actors. It is done to prevent flow of information, in a non-lethal, and non-damaging manner, which is the criteria required in the Law of Armed Conflict. The Law of Armed Conflict places a moral burden on nation-states to achieve their objectives in a manner that prevents loss of life, undue human suffering, or damage to property. To date, space warfare and cyber warfare are machine-on-machine engagements that meet or exceed the international community’s requirements for morality in warfare. The alternative is blowing up ground stations and the users of information-people and property. In short, negating satellites saves lives. What one can think of today as cyber warfare has really evolved out of space warfare. As personal computers, the Internet, and the various means of connecting them became prolific on Earth in recent years, the various warfare techniques used in space-and other terrestrial forms of electronic warfare-migrated to cyber. The world is getting familiar with examples of cyber warfare. Examples include the Russian use of cyber warfare against Georgia in their recent conflict to essentially put down Georgian information networks, their command and control systems, along with the Internet and most everything connected to it. What makes this example particularly interesting was how the Russians went about it. They simply encouraged private hactivists to engage Georgian cyber systems. It was a free-for-all. This resulted in a very effective removal of Georgia from the grid, with very little Russian investment in this success. Cyber warfare is clear but the Russian example points to another interesting phenomenon that one can see in space and cyber warfare. Space and cyber capabilities that only nation-states possessed even as late as a few years ago now reside within the grasp of anyone with access to the internet-for intelligence, operational command-and-control, and execution of various cyber techniques that can destroy, degrade, deny, disrupt, or deceive targeted equipment and the services they provide. The relationships between space and cyber warfare are relatively clear, and this explains, partly, why the US Air Force has vested its space and cyber assets in a single major command. Both space and cyber warfare can present with similar problems. First, attacks can be exceptionally difficult to detect. Systems can fail or have glitches for any number of reasons. Detecting an intentional attack is made even more difficult if the attack occurred months or even years earlier when some line of malicious code was inserted into software waiting to time-out or for some signal to be given. The second big problem once an attack has been detected; attributing it correctly to the actual aggressor-knowing full well that the aggressor might do everything in its power to implicate an innocent party. Iran’s covert use of Cuban soil is just one example of what is seen commonly. In the business of space and cyber strategy speaks about the Probability of Detection and the Probability of Attribution and the Probability of Retribution as well. The Probability of Retribution is characterization of likelihood, ways, and means of an adversary’s response for being attacked. This is critical and tricky because the culture and context of each adversary will be different, just as America responds differently at different times to different threats and attacks. These are points upon which one is concentrating a great deal of energy. This is of increasing importance as the US national security attention more focused towards the East. Asian Strategy is deeply informed by the writings of the ancient theorist, Sun Tzu, who twenty-six centuries ago wrote that all warfare is based on deception, in his treatise, The Art of War. Things will not be so clear in Asia as they have been in Europe. While many speak of developing a deterrence strategy to prevent Chinese and others from attacking US space systems, one also risk being misled by false assumptions promulgated by the members of the arms control community. Many of them assert vociferously at every opportunity that space has always been a peaceful sanctuary and that any interference with satellites will instantly put the US or other world powers on the path to nuclear warfare. Space has never been a sanctuary, and interference with satellites is commonplace. As demonstrated daily, such interference does not trigger nuclear wars. Nevertheless, they insist the remedy to their imaginary scenario is to sign-up for all forms of codes of conduct or other arms control agreements. Behind their altruistic shroud seems to lie an agenda aimed at undermining nation-states’ abilities to defend themselves from hostile or unlawful use of space or the systems that operate there.